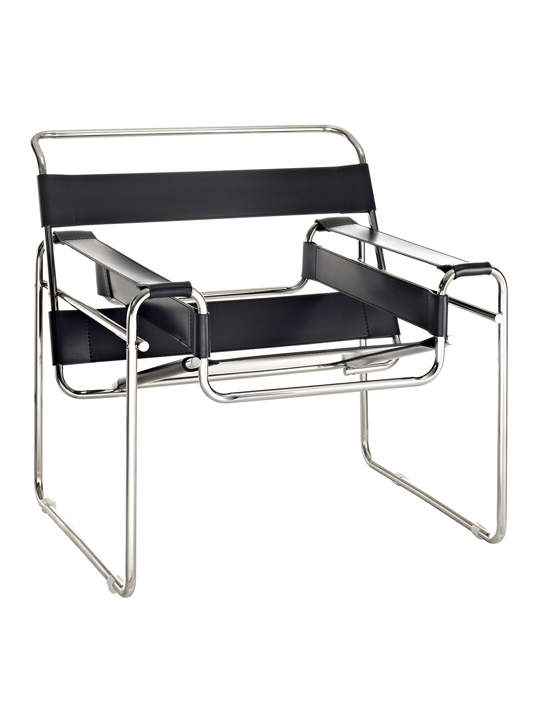 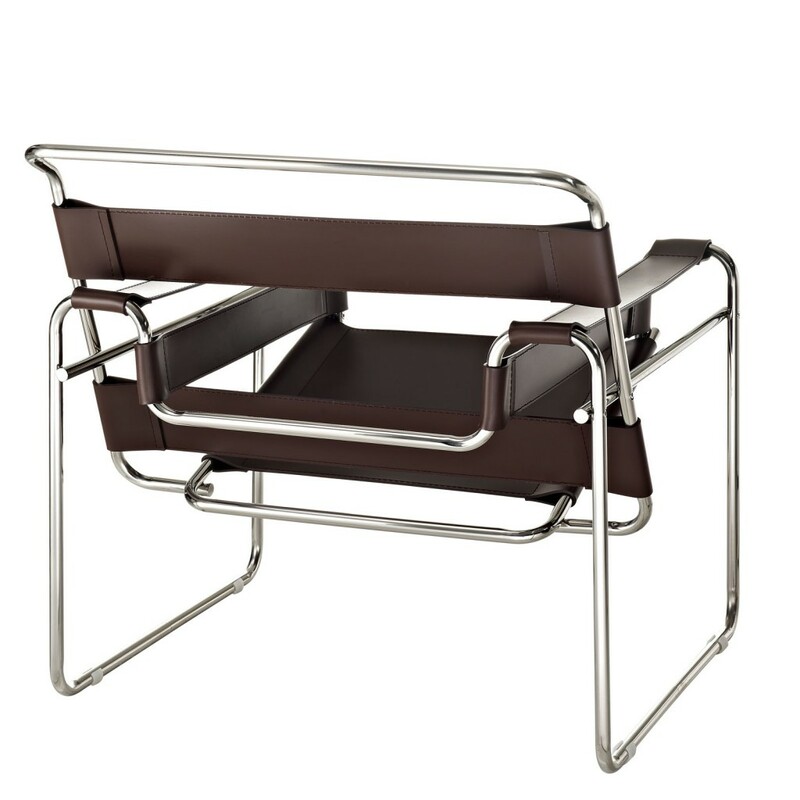 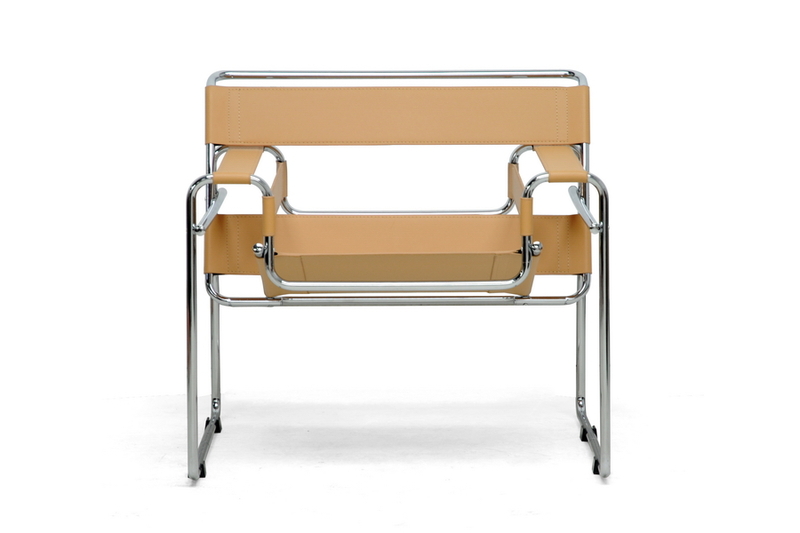 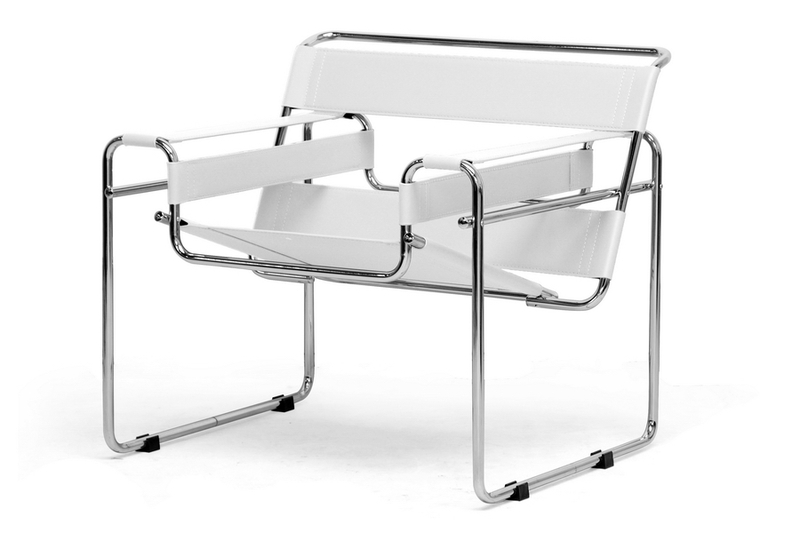 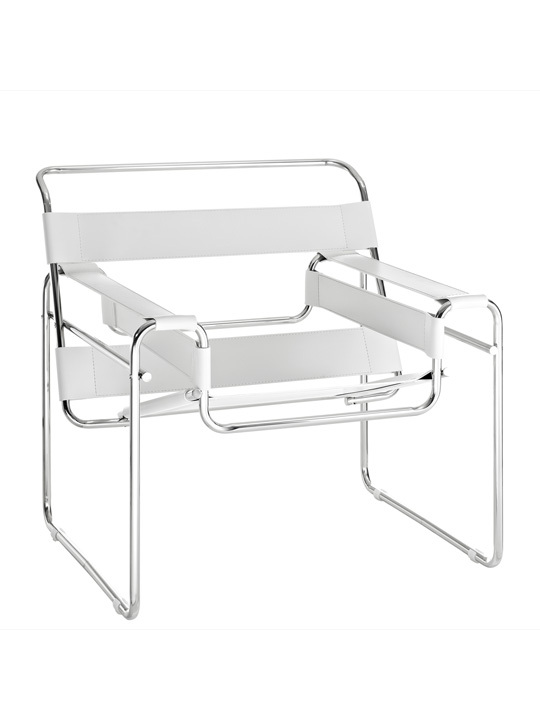 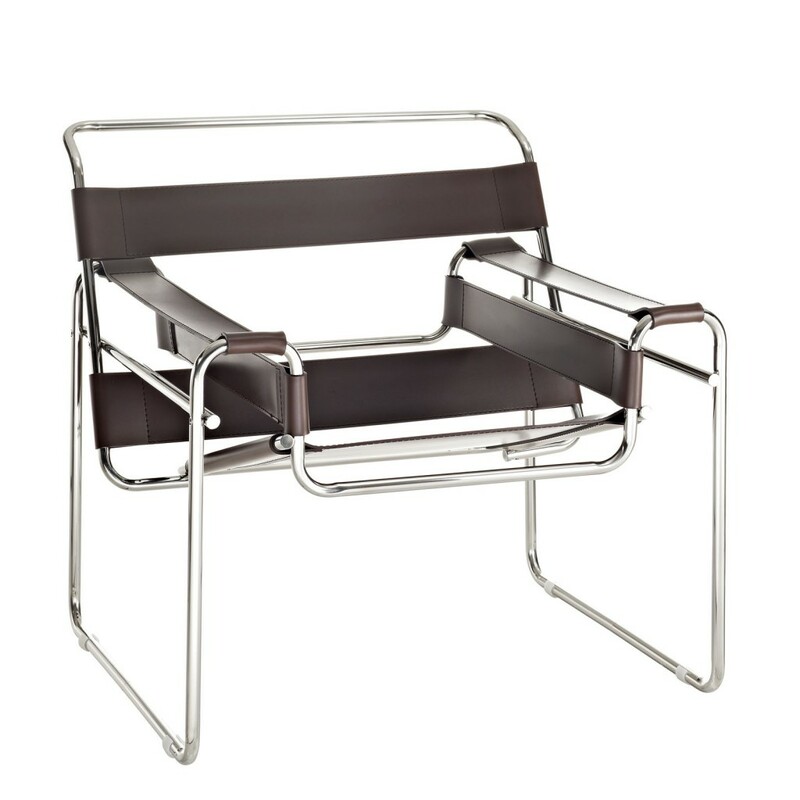 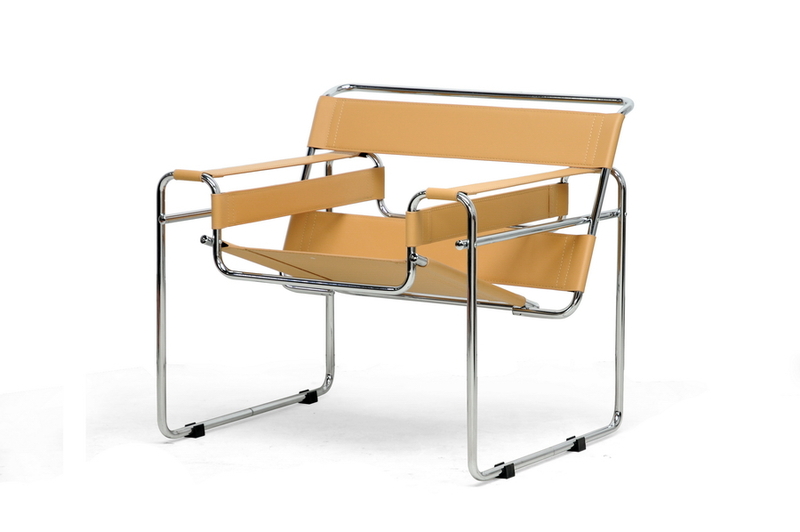 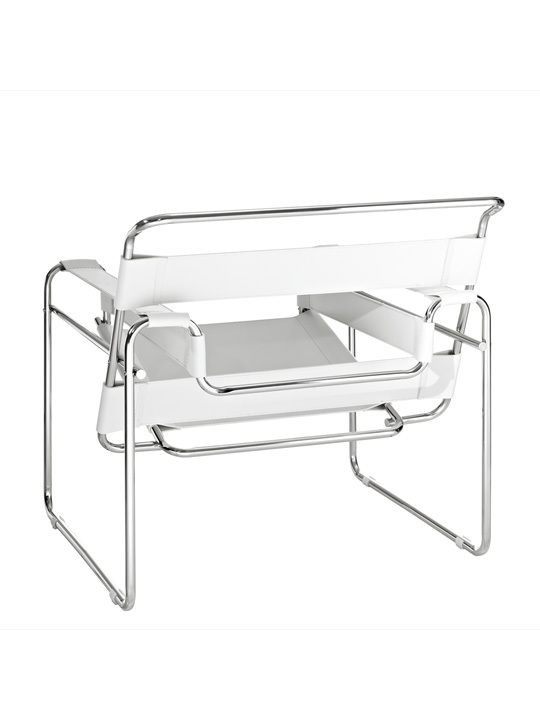 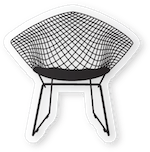 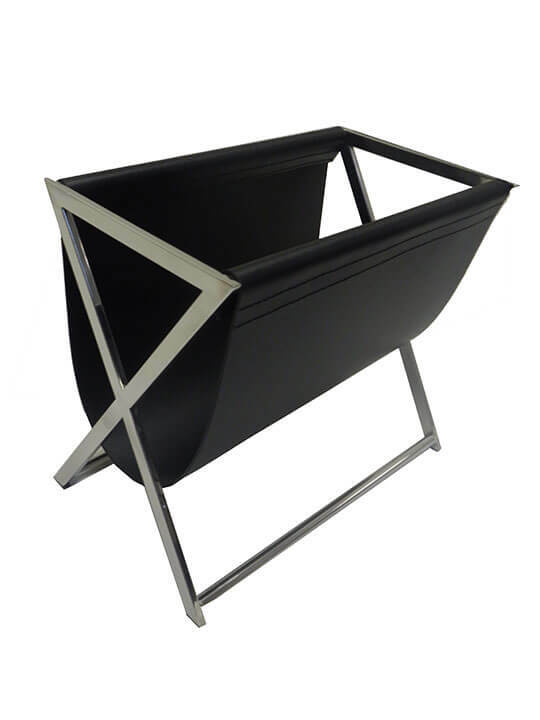 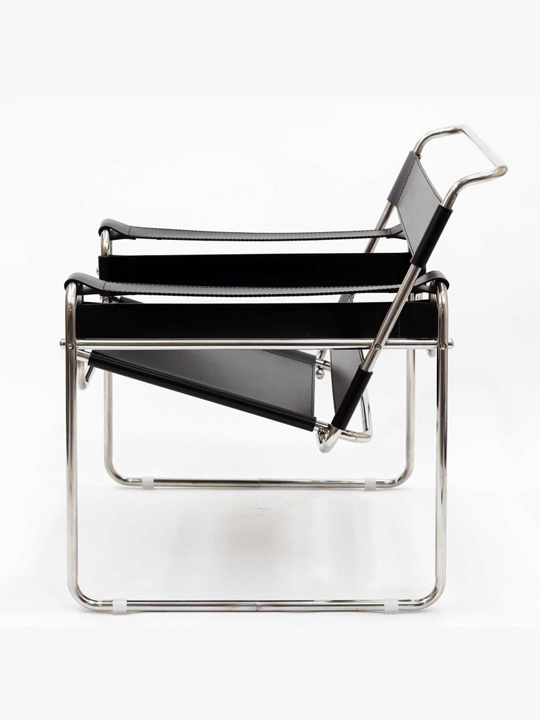 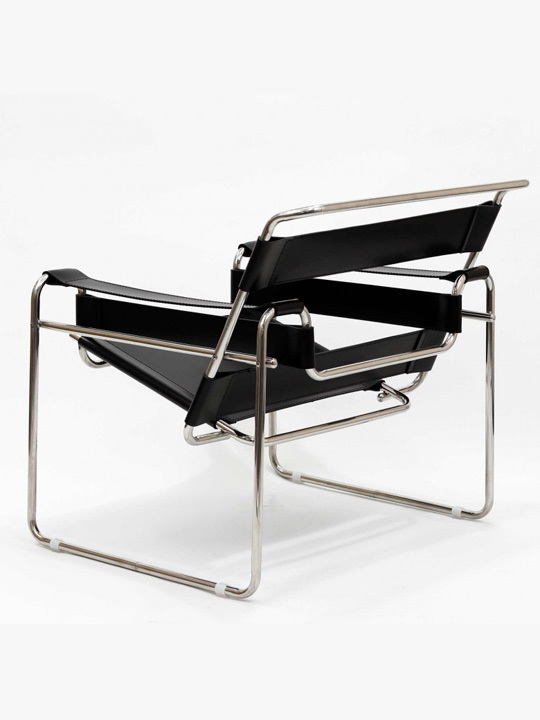 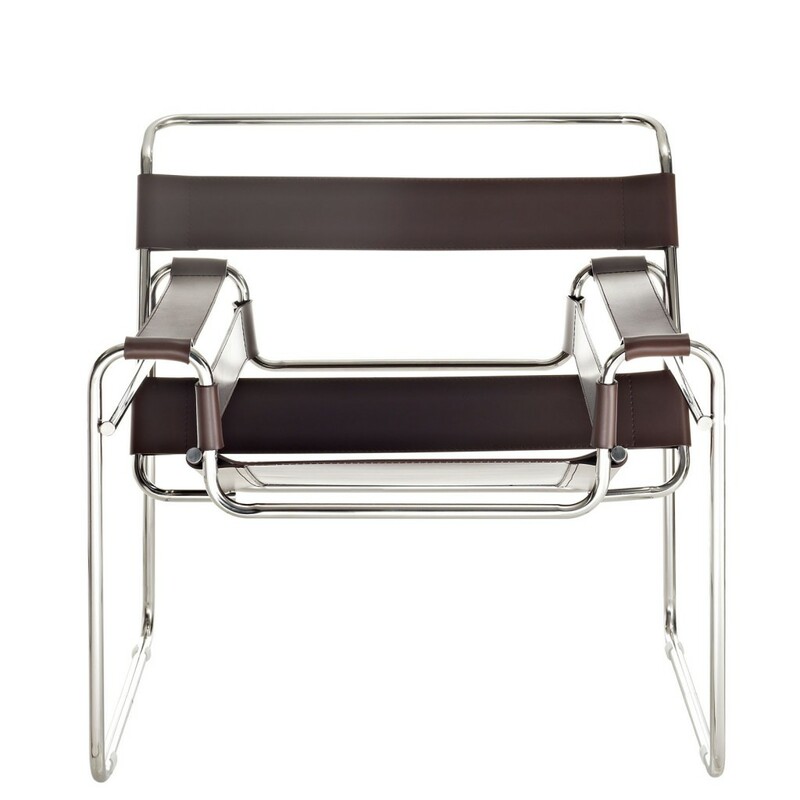 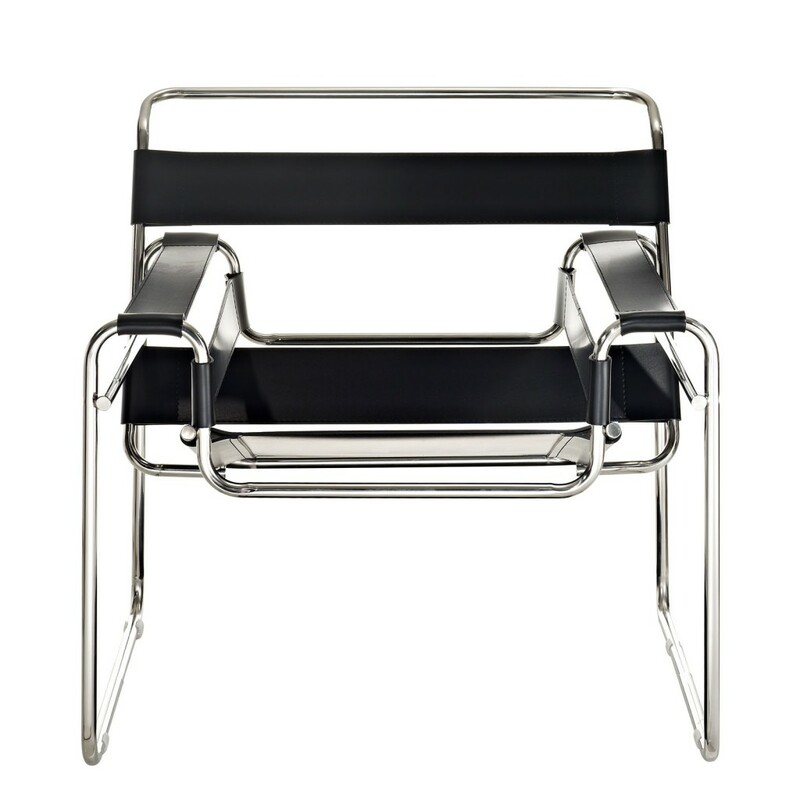 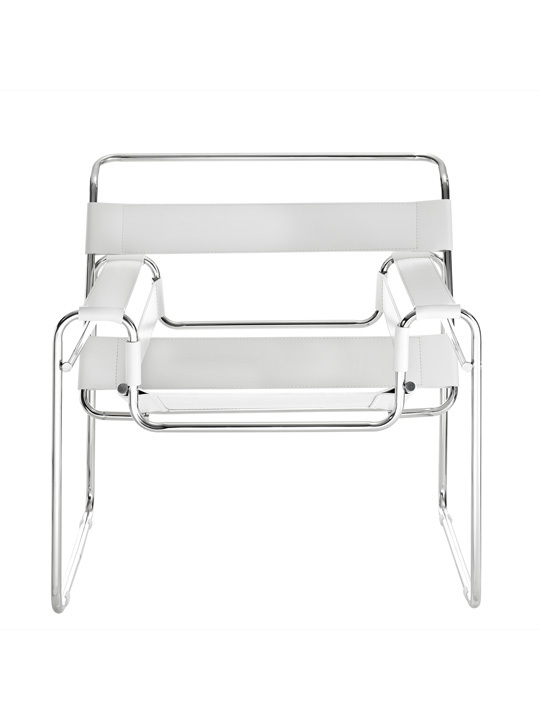 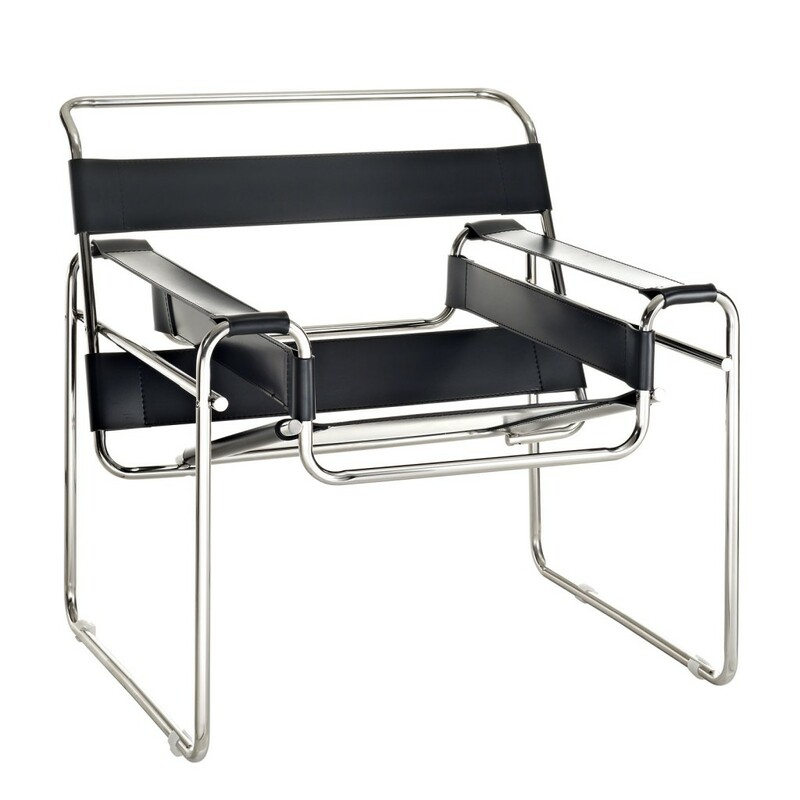 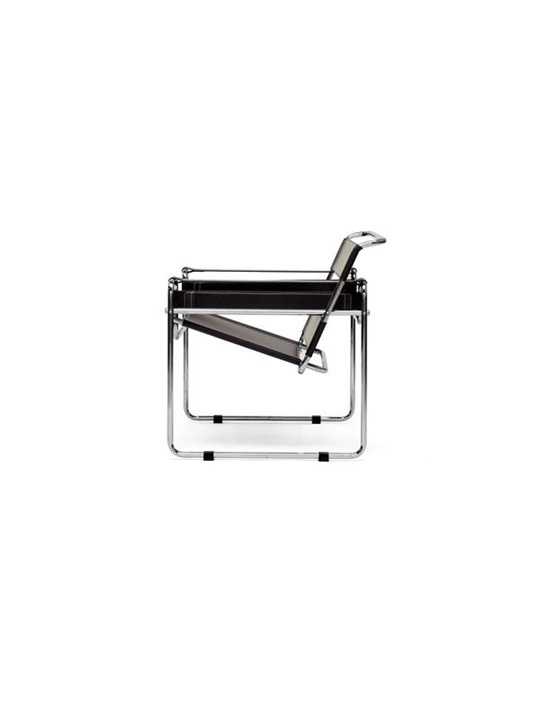 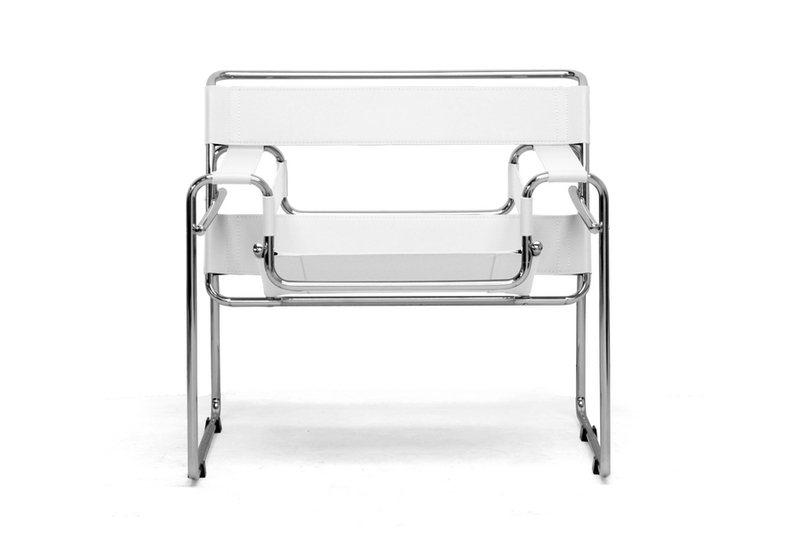 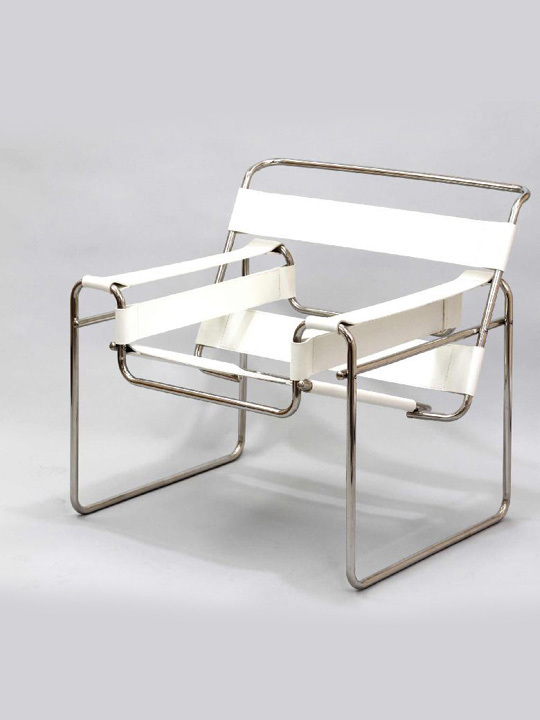 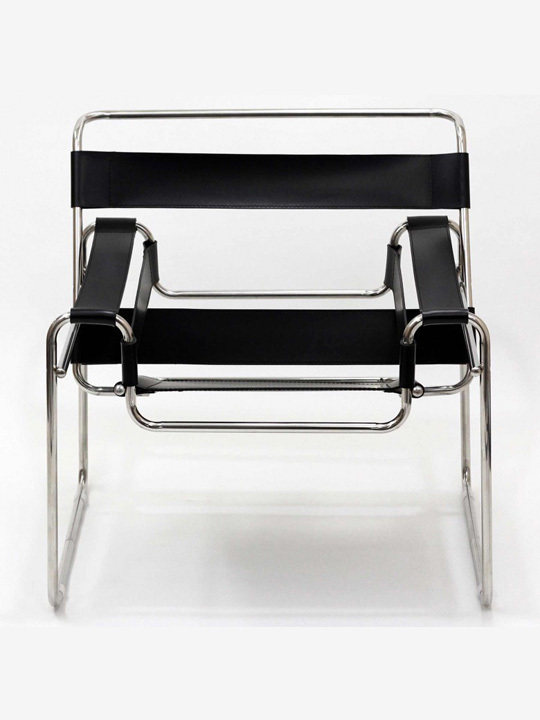 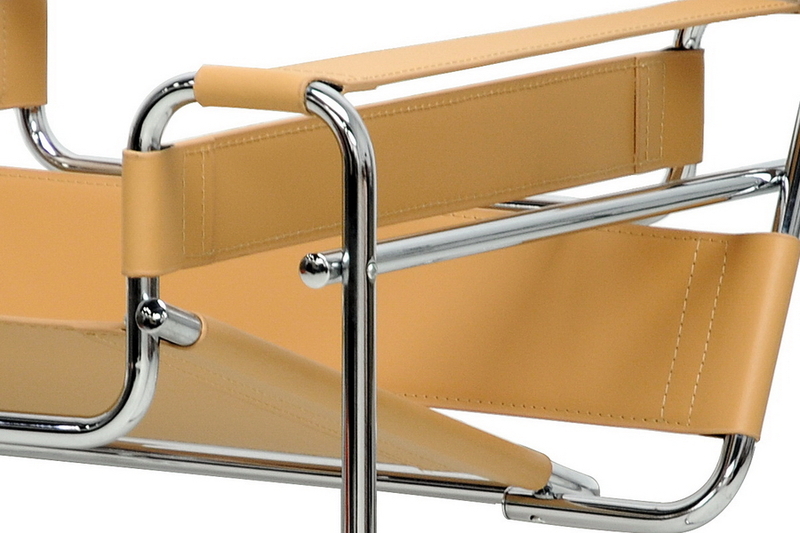 The Leather Strap Chair is inspired by Marcel Breuer who was an apprentice at the Bauhaus in 1925. 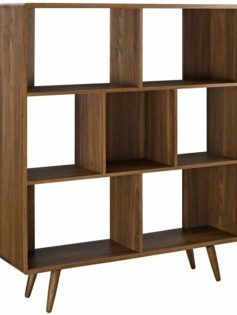 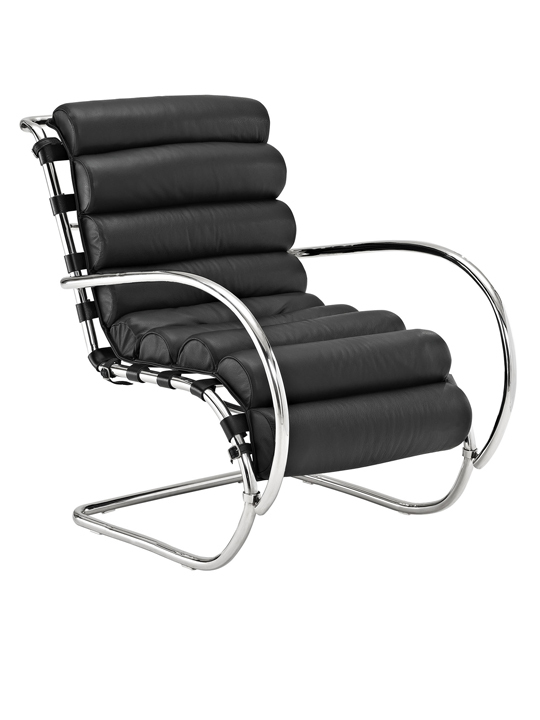 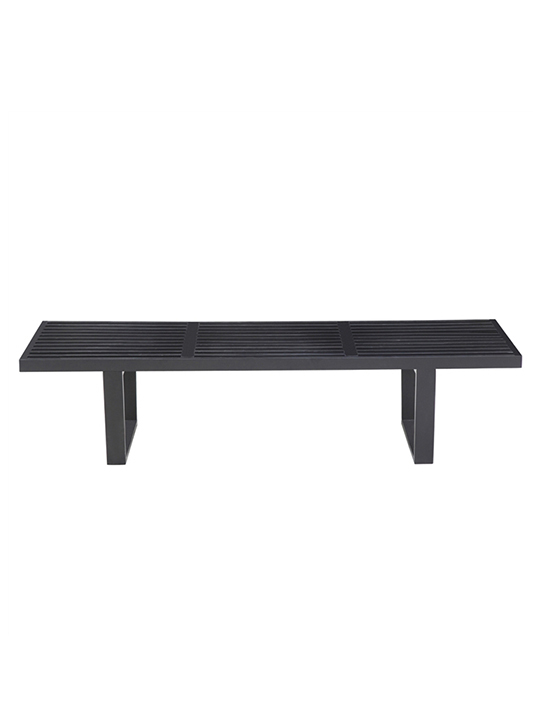 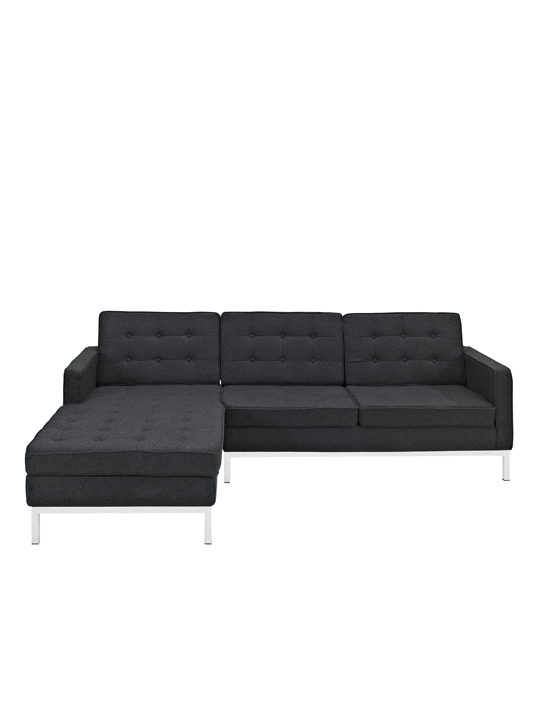 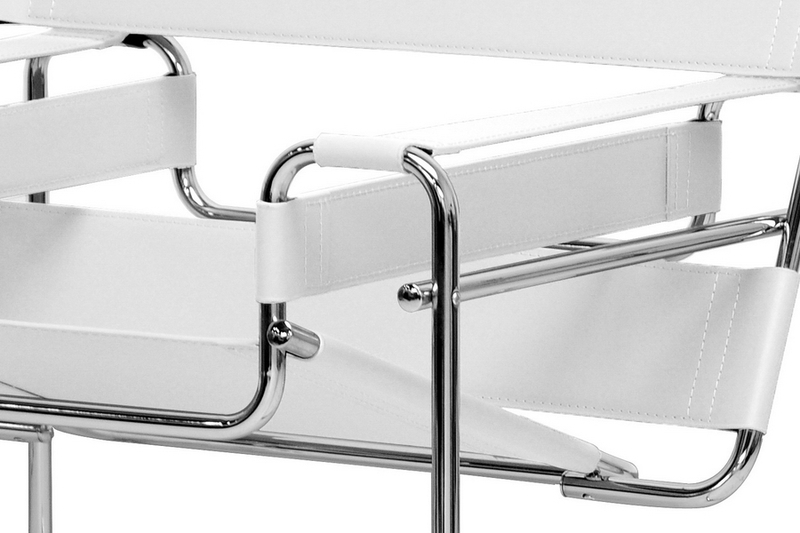 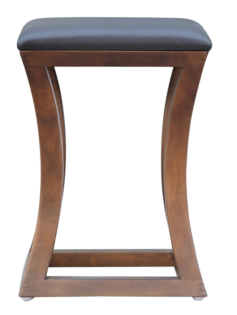 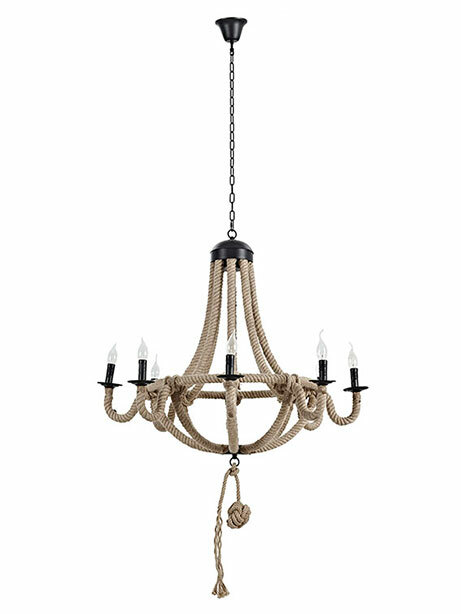 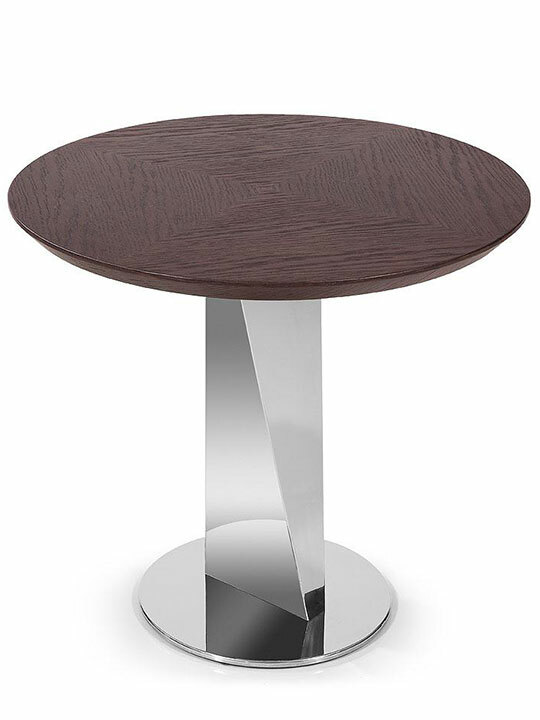 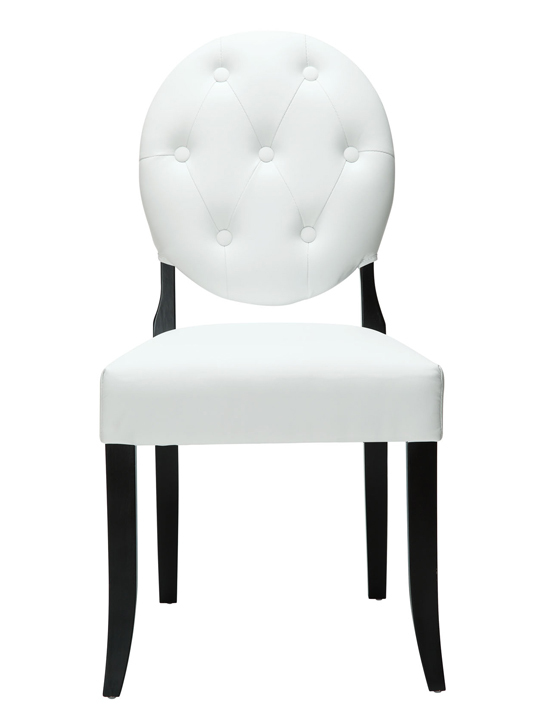 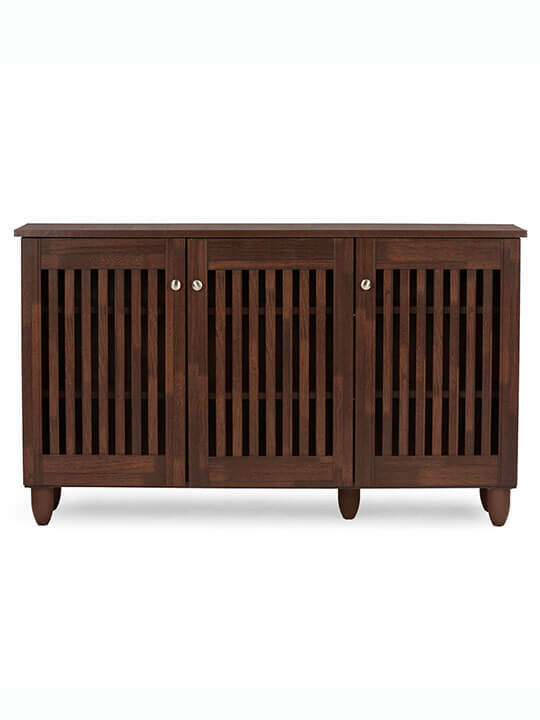 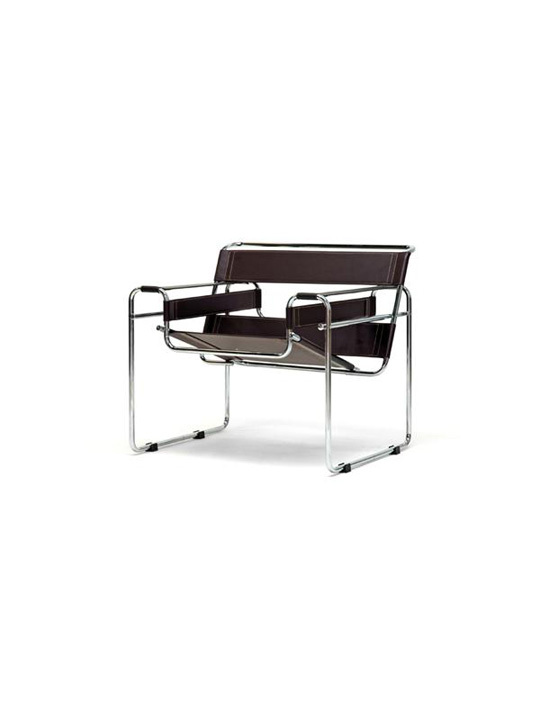 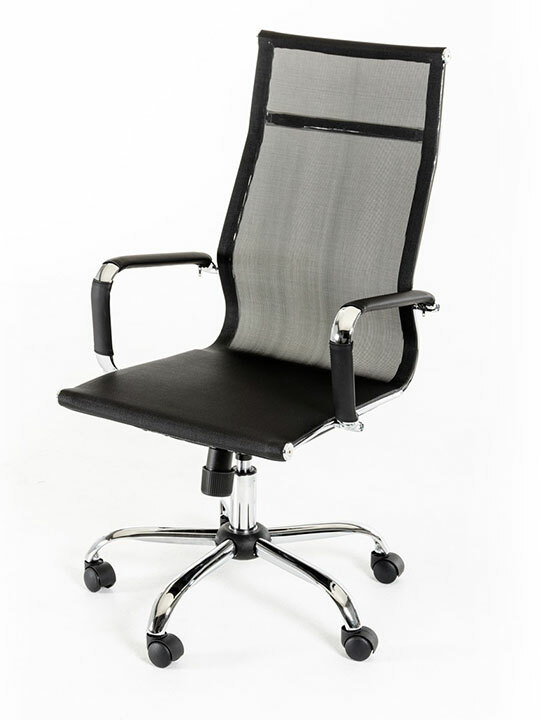 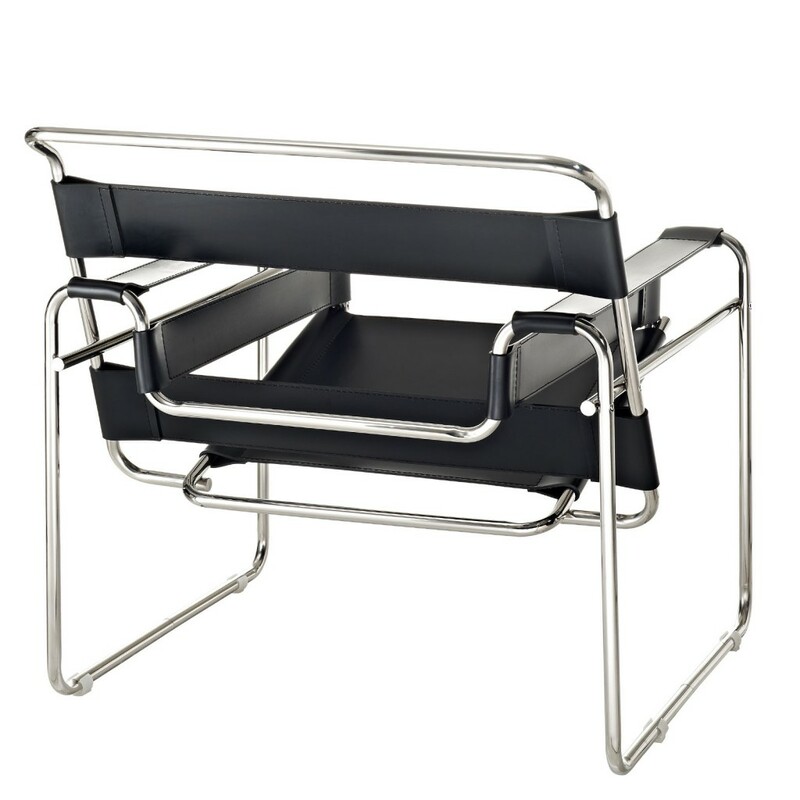 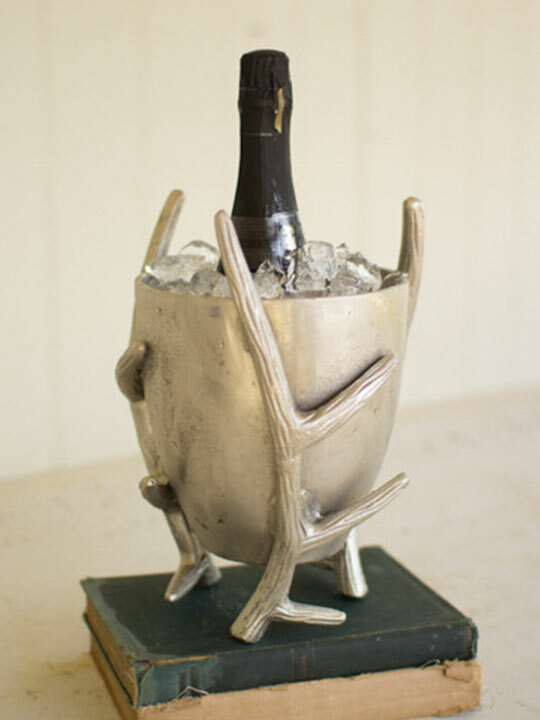 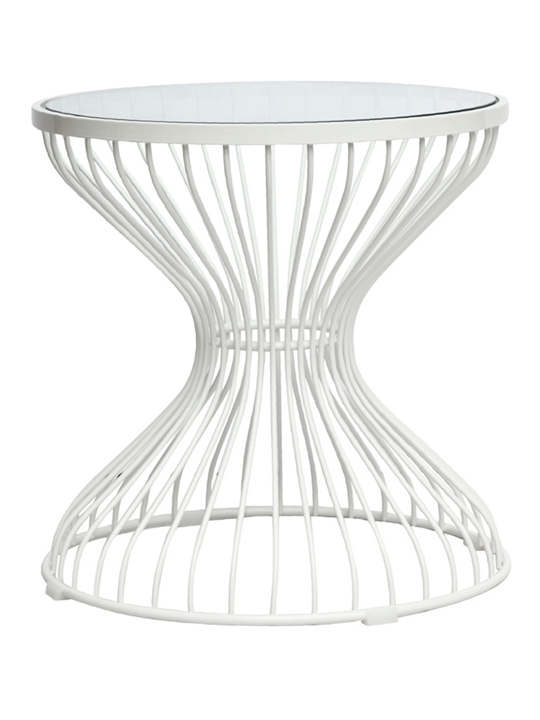 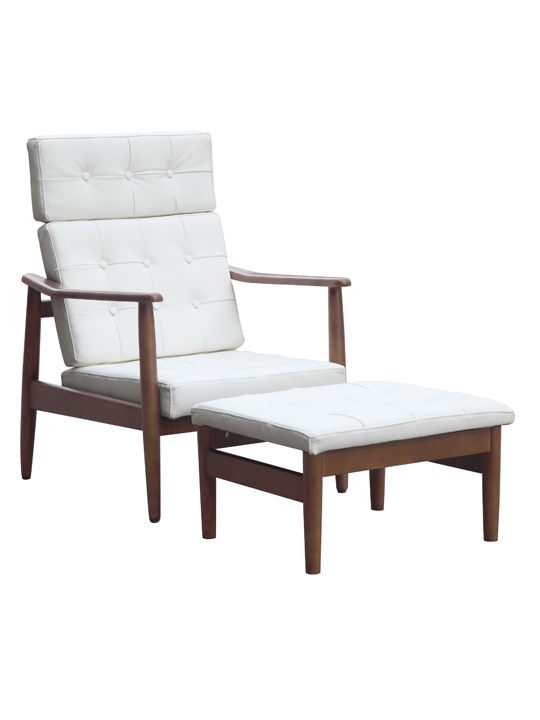 It features a seamless tubular steel frame with a polished chrome finish and thick cowhide leather upholstery. 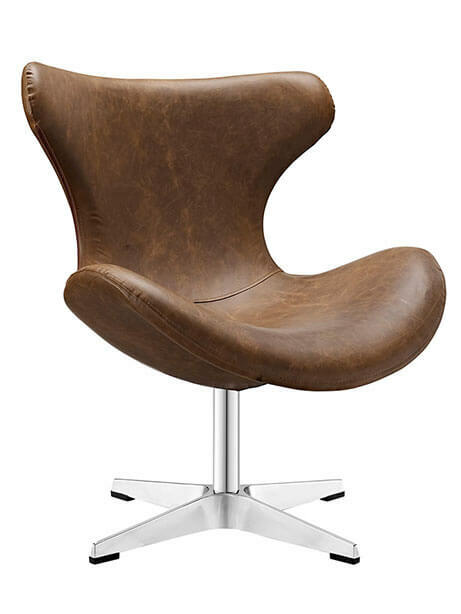 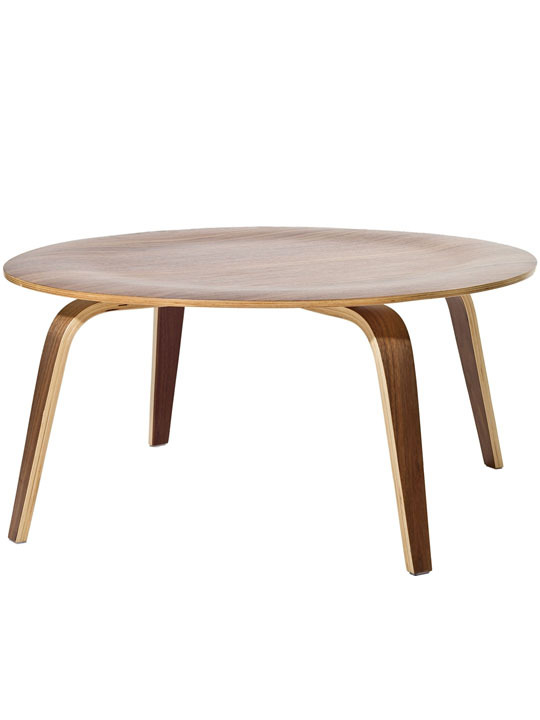 Available in Black, White, Brown and Tan.